New technologies that determine DNA sequencing means we can now profile people over time to better predict and diagnose disease. Snyder will share his work in these new technologies and the power they hold to transform how we manage human health. A book sale and signing will follow the presentation. This event is sponsored by the Clarke Forum for Contemporary Issues and co-sponsored by the Department of Biology and the Health Studies Program. It is also part of the Clarke Forum’s semester theme, Big Data. 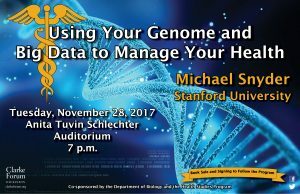 Michael Snyder is the Stanford Ascherman Professor and chair of genetics and the director of the Center of Genomics and Personalized Medicine at Stanford University. Snyder received his Ph.D. training at the California Institute of Technology and carried out postdoctoral training at Stanford University. 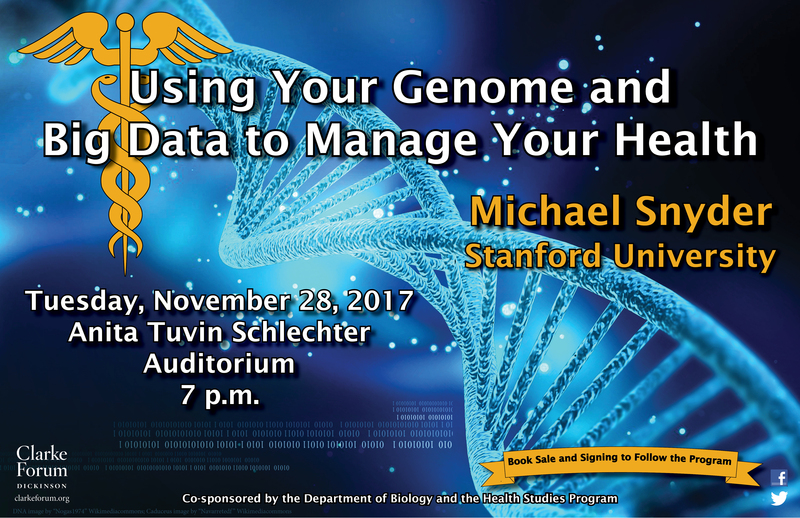 He is a leader in the field of functional genomics and proteomics, and one of the major participants of the ENCODE project. His laboratory study was the first to perform a large-scale functional genomics project in any organism, and has developed many technologies in genomics and proteomics. These including the development of proteome chips, high resolution tiling arrays for the entire human genome, methods for global mapping of transcription factor binding sites (ChIP-chip now replaced by ChIP-seq), paired end sequencing for mapping of structural variation in eukaryotes, de novo genome sequencing of genomes using high throughput technologies and RNA-Seq. These technologies have been used for characterizing genomes, proteomes and regulatory networks. Seminal findings from the Snyder laboratory include the discovery that much more of the human genome is transcribed and contains regulatory information than was previously appreciated, and a high diversity of transcription factor binding occurs both between and within species. He has also combined different state-of–the-art “omics” technologies to perform the first longitudinal detailed integrative personal omics profile (iPOP) of person and used this to assess disease risk and monitor disease states for personalized medicine. 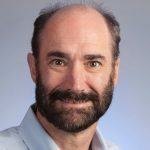 He is a cofounder of several biotechnology companies, including Protometrix (now part of Life Technologies), Affomix (now part of Illumina), Excelix, and Personalis, and he presently serves on the board of a number of companies.